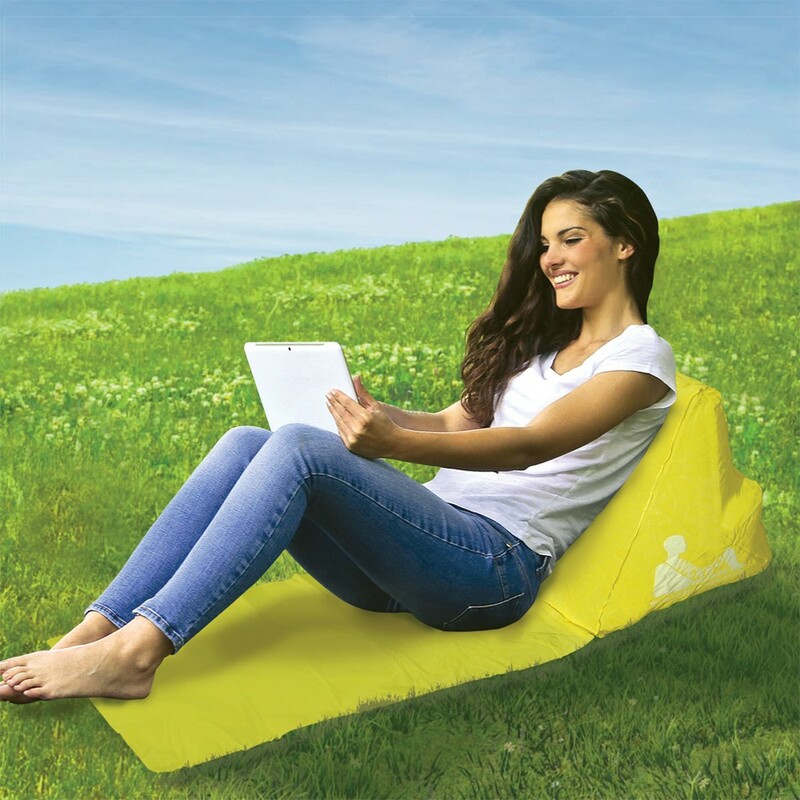 The Escape WickedWedge Inflatable Lounger is an extremely clever multi-functional product that just seems to solve so many problems. 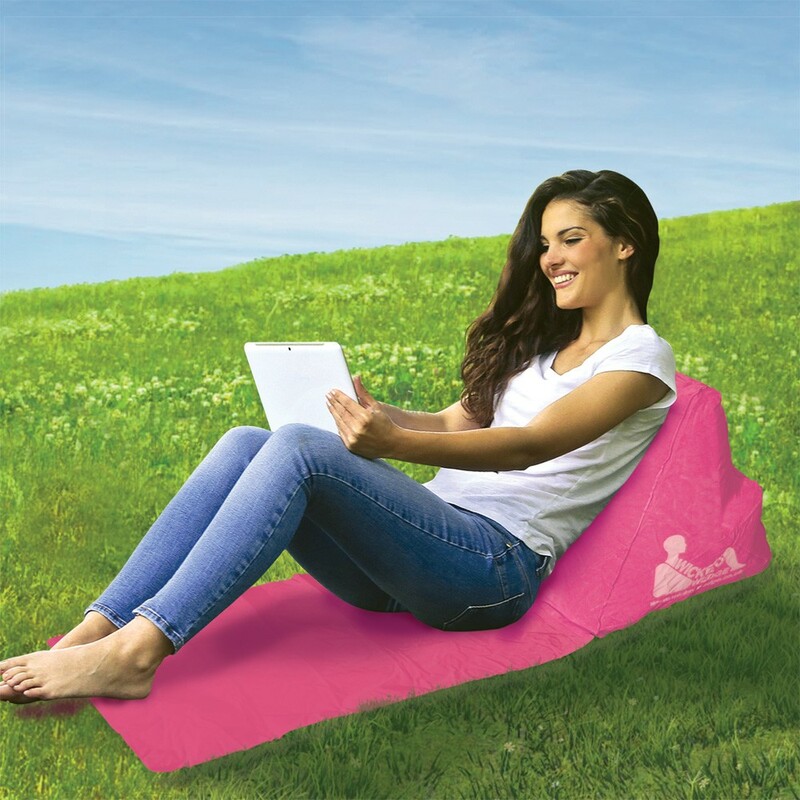 An incredibly compact product that ensures you remain comfortable no matter where you are it is an inflatable lounger pillow with an attached mat making it perfect for beach, festivals, picnics or camping or even just chilling out at home. The Escape WickedWedge Inflatable Lounger has great ergonomics and back-support function giving you multi-angled support and is packable into the size of a small book to easily fit into your bag. It is also very easy to set up - once inflated the triangular shaped wedge props you up to support your back and a roll out mat provides irritation-free comfort for your legs. Back Care and Recuperation - Whether it’s a bad back or recovering from illness, WickedWedge will offer you that much need back support. Being inflatable means that you will be able to set your own comfort level - this is an easy process and can be done by inflating or deflating the wedge with the air valve. Warning: Do not over inflate.